Last weekend I went to Quan Oc Khanh again for dinner. This time I went with my husband because he never tried this one. At first I wanted to try the one he ate before, but it’s in district 10. Too far (read : too lazy). We ordered 5 dishes this time, and tried some other menu. 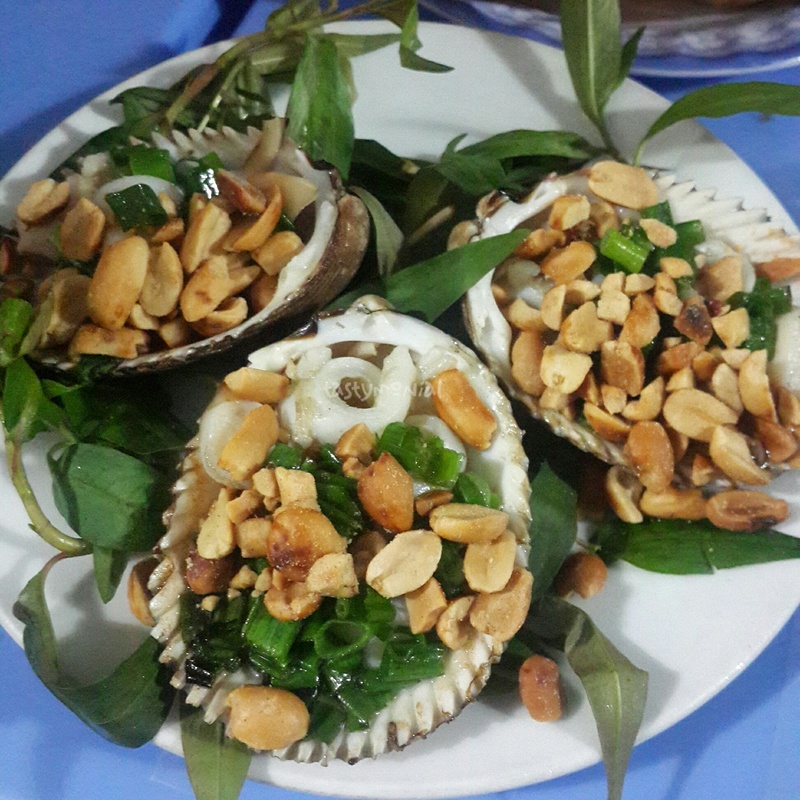 The first menu I recommended was the blood clam with garlic. I didn’t take picture of that dish, but you can see it on this link. 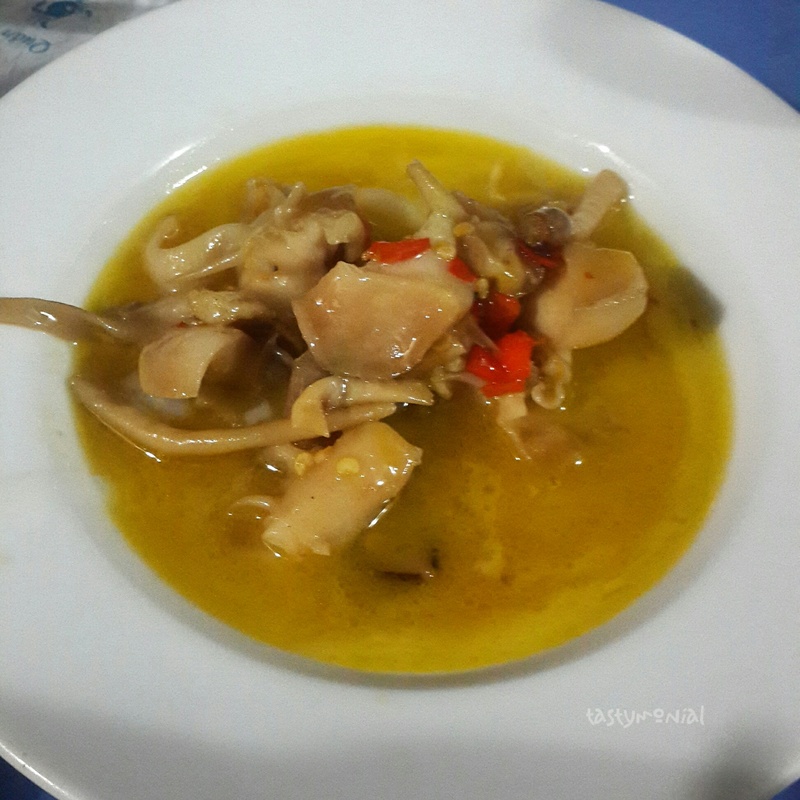 Some kind of sea-snails cooked in butter. Eat this with banh mi. Soooo good! A bit spicy though. Oyster! 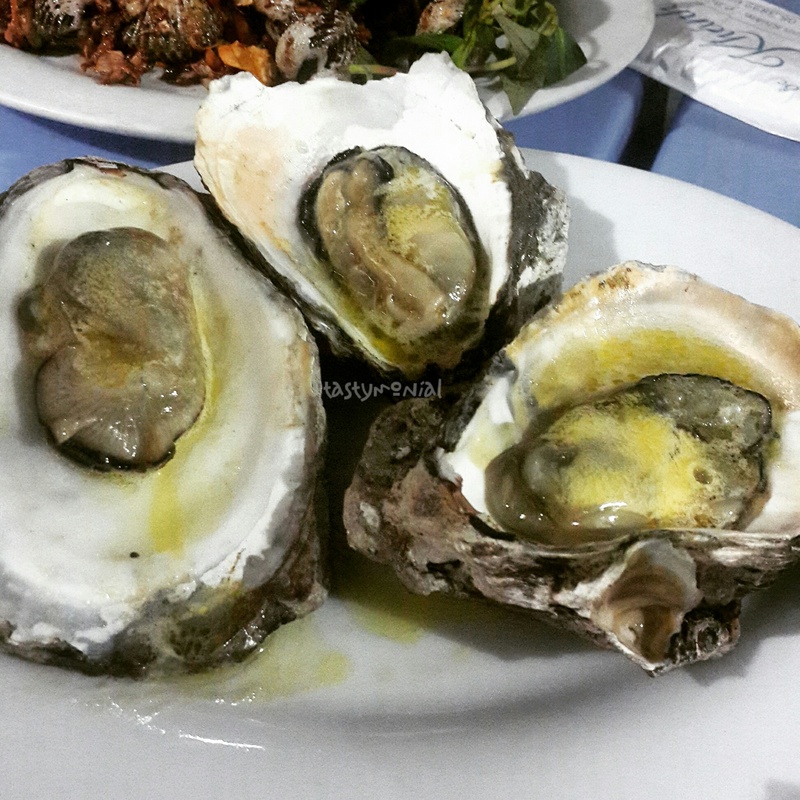 This time I ordered oyster with garlic and butter. Delicious! Fresh oyster, very juicy. 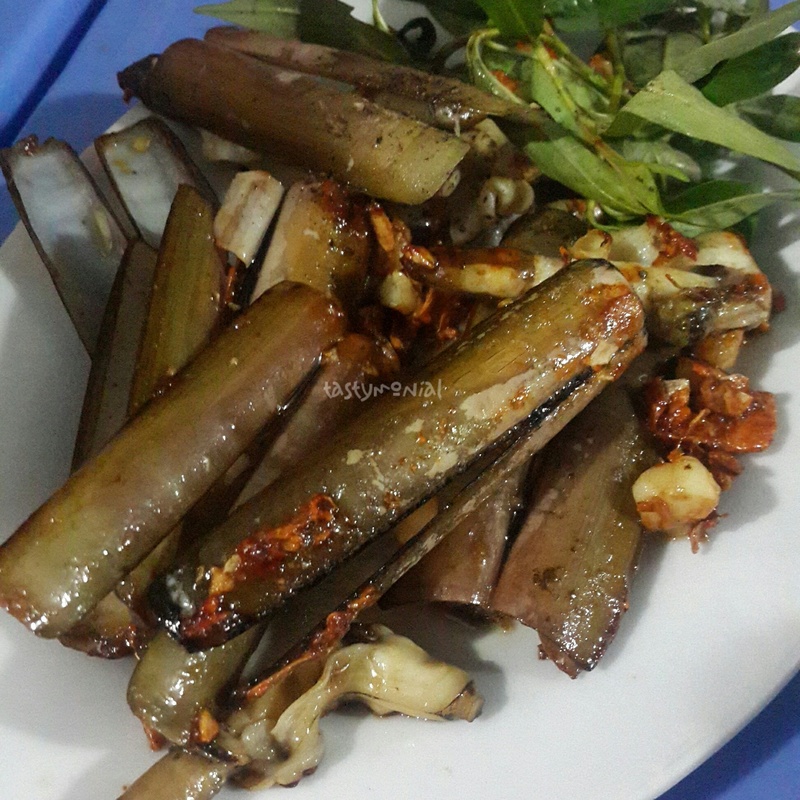 Finger clams cooked with garlic. I’ve wanted to try this since my visit to Barcelona. I didn’t order it at that time and I was still curious. My husband saw this one Quan Oc Khanh menu and he suggested me to order. It was a right decision! This clam is good. Especially when you eat with those fried garlic.. yummy~! Last time I ordered this one with cheese. This time I tried the one with peanut and spring onions. It was good, surprisingly. Clams and peanuts… I never imagined this combination but apparently it works. For all those plus 2 banh mi and 3 sapporo beer, we had to pay for 450.000 vnd (About USD 20). I can’t get enough of snails and clams. My mouth still wanted more, but my stomach said it’s enough xD This restaurant is very recommended!